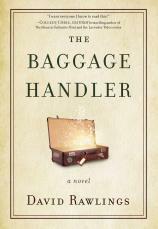 In a similar vein to THE TRAVELER'S GIFT by Andy Andrews or DINNER WITH A PERFECT STRANGER by David Gregory, THE BAGGAGE HANDLER is a contemporary story that explores one question: What baggage are you carrying? When David, Gillian and Michael each take the wrong suitcase from baggage claim, the airline directs them to retrieve their bags at a mysterious facility in a deserted part of the city. There they meet the enigmatic Baggage Handler, who shows them there is more in their baggage than what they have packed, and carrying it with them is slowing them down in ways they can’t imagine. And they must deal with it before they can leave.